We serve Lake County, Sumter and Southern Marion Counties including Clermont, Eustis, Fruitland Park, Lady Lake, Leesburg, Summerfield, Tavares, The Villages, Wildwood , and Weirsdale. Don’t leave commercial plumbing service issues to chance. Call Ross Plumbing at 352-728-6053 today for dependable services in the Leesburg, FL area. Click here to find our current specials and coupons. As a business person, you know a serious plumbing problem can halt business and send people home. Your business, whether an office building, shopping mall, retail store, fitness center or manufacturing plant demands quick solutions to maintain the highest productivity. Access to a local plumbing solution ensures a quick response by technicians who know your property, who will provide you with immediate results. You can’t afford to suffer through lengthy closures. Finding the right commercial plumber is imperative. Discover what your neighbors have to say about our range of services when you click here now. A commercial plumbing problem and a residential one don’t look much different from one another on the surface. A clogged drain in a home requires the same kind of solution as one in a mall or store. The main difference is how many more people a commercial plumbing problem may affect. A serious plumbing problem in an office sends employees home. In a store, that problem costs you customers. A ruptured pipe in a busy commercial warehouse can damage inventory and cause delays in service to your own customers. These plumbing problems require experienced commercial plumbers like ours at Ross Plumbing. 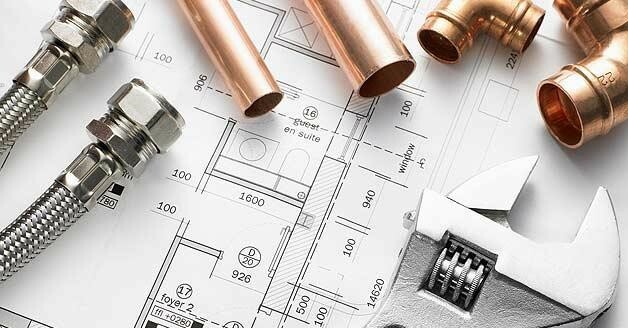 As a business ourselves, we know how to keep a business humming, and we make it easy to find help with commercial plumbing in the Villages, Leesburg and local locations! You know sending employees home, sending customers to another store or writing off valuable inventory is no way to run a business. A skilled, efficient plumber solves those problems. A plumber you trust, a plumber you can call when you first notice the problem, can turn what could have been a long-term disruption into a minor inconvenience. We make commercial plumbing services available in The Villages, Leesburg and Lake County’s surrounding areas! A reputable commercial plumber like Ross Plumbing can make repairs quickly and efficiently, but preventive maintenance on commercial plumbing service saves effort and expense later on. A thorough maintenance routine should include inspecting pipes for their strength, cleaning sluggish drains and looking for telltale signs of future problems in sewer and gas lines. Regular maintenance on your plumbing system is a wise choice. These problems are too important to ignore. Get commercial plumbing services in Lake County, Leesburg, the Villages or Surrounding Areas. Give us a call at 352-728-6053 today for fast and reliable plumbing solutions.